Power-Stud Wedge Anchors are fully threaded, torque controlled, wedge expansion anchors designed for concrete applications. Suitable base materials include solid concrete and grout-filled concrete masonry. 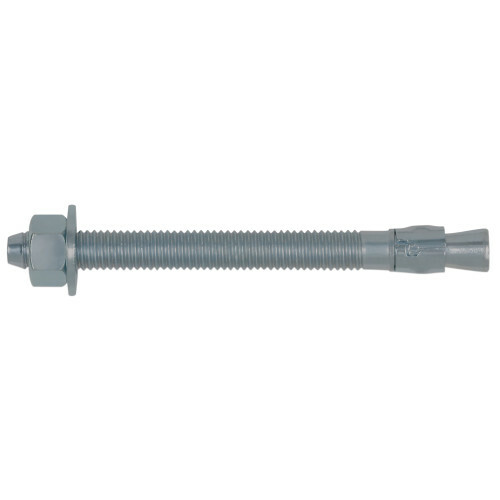 These anchors have various DOT approvals including Caltrans listing for "Stud Mechanical Expansion Anchors". They're also suitable for use with pressure treated lumber.